1. The CEOs dilemma – How to meet the demands of the world today, while positioning our companies for the complexities of tomorrow? All agreed it has to start with corporate purpose. A Hitachi executive explained to why the Japanese company is developing a social innovation business, to help address global income inequality and climate change, among other long-term goals. Their executive pay is now measured against those goals. Simple reason: if the world falters, Hitachi will falter. Pepsi presented its own case study of how it’s pursuing a corporate purpose rooted in human wellness. That may sound odd for a company built on soda pop, but this clarity of purpose helped it focus on healthier products and more sustainable packaging. When Pepsi’s board last year named Ramon Laguarta to replace longtime CEO Indra Nooyi, it weighed his ability to run a sustainable enterprise and deal with inclusive societies – and to communicate those needs with passion and humanity. We’re likely to see demand for such leaders grow, as our world becomes more complex and more demanding. A New Energy Equation: A decade ago, Tony Blair came to Davos to urge the world to use the financial crisis to address the climate crisis. The billions – soon to be trillions – pouring into the balance sheets of stagnant economies, he argued, could be used to stimulate the transition to a lower carbon economy. Ten years on, the global economy is in much better shape; the environment, less so. Our collective shortfall in addressing climate change is now the No. 1 risk in the minds of the Davos community. In this year’s Global Risks Report, three of the top five risks ranked by likely outcome were environmental ones, while four of the top five ranked by impact were the same. Extreme weather was the biggest concern among the 1,000 members the World Economic Forum surveyed for the report, followed by a failure to mitigate and adapt to climate change. 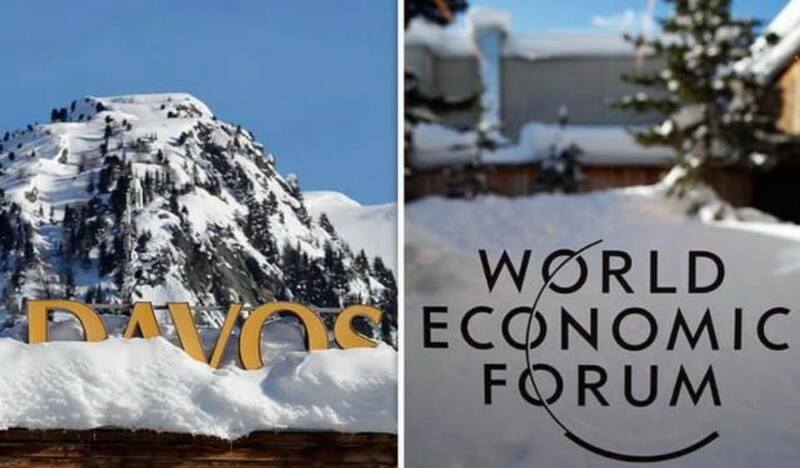 While there continues to be concern about the divergence in climate policy between the U.S., China and Europe, there was a lot of talk at Davos about how industries are moving ahead anyway. DHL, for instance, has designed electric vehicles to make its delivery fleet in European cities carbon neutral by 2025. Boeing has successfully tested a cargo plane using only biofuels. And two steelmakers, Mittal and Tata, are developing “green steel” using new energy sources and more recycled materials. 2. Regulations have to evolve as rapidly as the planet’s needs, to spur new processes and wind down old ones. Technology is only part of the play. Regulations have to evolve as rapidly as the planet’s needs, to spur new processes and wind down old ones. And much more could be done to connect energy systems. Daniel Yergin, the respected energy analyst, told the Forum he doesn’t see “peak oil” until at least 2040 – “and peak doesn’t mean plummet.” Supply chains, industrial processes and consumer choices, from home heating to commuting, are going to take time to change. And then there’s global population, projected to grow by 2 billion. Much of the discussion focused on finding ways to make our oil more carbon-efficient, to fuel that growth sustainably, and to use some of the revenue from old sources of energy to invest in the development of new ones. It’s why people call it a transition. 3. Generational Bridge: The next generation is desperate to protect nature and are looking for solutions. One of the delightful surprises of this year’s Davos was the diversity of generations, from one of my heroes, Jane Goodall, to the six co-chairs of the Forum, who were all young global leaders and heroes in their own right. The interaction of the generations was inspiring, and should spur all of us to find more ways to connect young and old. At 84, Goodall is remarkable, doing more than 300 events a year, largely to promote her Roots & Shoots initiative, connecting young people with environmental efforts all over the world. “The next generation is desperate to protect nature,” she shared with us. She and rock star Bono, who’s 58, shared the spotlight at a lunch with Greta Thunberg, a 15-year-old environmental activist from Sweden, who upstaged them both with a warning from her generation: “Our house is on fire. I want you to panic.” Unfortunately, the technology that consumed so much of Davos’s attention is also disconnecting Greta’s generation from the natural world around them. In another inspiring display of inter-generational conversation, Prince William (36) interviewed the legendary filmmaker David Attenborough (92) about his work in documenting the planet for more than half a century. Sir David described how in the 1950s, he could wow audiences with a simple shot of an armadillo, whereas today he has to go to the ocean floor or outer space to capture something that will grab people’s attention. He noted the irony: we’ve never been more exposed to nature and yet more disconnected from it. Sir David’s advice to the Duke of Cambridge and his generation: respect and revere the planet. And maintain “fresh eyes and wonder.” Wise words, for any age.